Winslow Homer, Rowing Home (1890); an example of the wet-on-wet technique in watercolor, especially in the sky. Wet-on-wet, or alla prima (Italian, meaning at first attempt), direct painting or au premier coup, is a painting technique in which layers of wet paint are applied to previously administered layers of wet paint. Used mostly in oil painting, the technique requires a fast way of working, because the work has to be finished before the first layers have dried. Traditionally, a new layer of oil-based paint is applied to most parts of a painting only after allowing a previous layer to dry completely; this drying process can take from several days to several weeks, depending on the thickness of the paint. In contrast, work performed using "alla prima" can be carried out in one or more sessions (depending on the types of paint used and their respective drying times), and it is common for such a work to be finished in only one session or "sitting". In the medium of watercolors, wet-on-wet painting requires a certain finesse in embracing unpredictability. Highly translucent and prone to accidents, watercolor paint will bloom in unpredictable ways that, depending on the artist's frame of mind, can be a boon or a burden. Wet-on-wet painting has been practiced alongside other techniques since the invention of oil painting, and was used by several of the major Early Netherlandish painters in parts of their pictures, such as Jan van Eyck in the Arnolfini portrait, and Rogier van der Weyden. 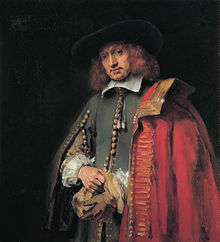 Among the many Baroque painters who favored an alla prima technique were Diego Velázquez and Frans Hals. In the Rococo era, connoisseurs appreciated bold alla prima painting, as exemplified in the works of artists such as Jean-Honoré Fragonard, Francesco Guardi, and Thomas Gainsborough. Since the mid-19th century, the use of commercially produced pigments in portable tubes has facilitated an easily accessible variety of colors to be used for rapid and on-the-spot painting. Impressionists such as Claude Monet, post-Impressionists such as Vincent van Gogh, realists such as John Singer Sargent and Robert Henri and George Bellows, Expressionists such as Chaim Soutine, and the Abstract Expressionist Willem de Kooning have in different ways employed this technique, and it is still heavily used by both figurative and non-figurative fine artists. In recent years the wet-on-wet practice has become well known as the primary method of painting used by such television artists as Emmy award winner Bill Alexander, Lowell Spears, Buck Paulson, Diane Andre, American artist Bob Ross, Robert Warren, Wilson Bickford (Painting with Wilson Bickford), Brandon Thomas ( Painting With Magic ) and many more. Complete paintings, using this technique, popularized for the construction of imaginative landscapes, only take a relatively short period of time. Alexander and Ross could produce an entire landscape in under half an hour on their respective television shows, The Magic of Oil Painting and the long-running The Joy of Painting. Ross distributed a smooth basecoat of thinned paint, usually white, along the canvas before painting started so the canvas would always be wet and the pigments could more efficiently mix. Forms of wet-on-wet painting have been in use in industrial applications for some years. The German F.A.L. process used sulphurised linseed oil and was used for some years to paint United States Postal Service vans. With the development of quick-drying primers, it was used by Rank Xerox to paint parts for their copiers. The original clear on base system for automotive metallic finishes used an air drying base. This system, using a flash primer as well, was used for cycle finishes well before it was used for cars. Wikimedia Commons has media related to Wet-on-wet. ^ "Art Glossary: Alla Prima". ThoughtCo. Retrieved April 22, 2017. ^ Al Gury (2008). Alla Prima: A Contemporary Guide to Traditional Direct Painting. Watson-Guptill Pub. ISBN 978-0-8230-9834-7.